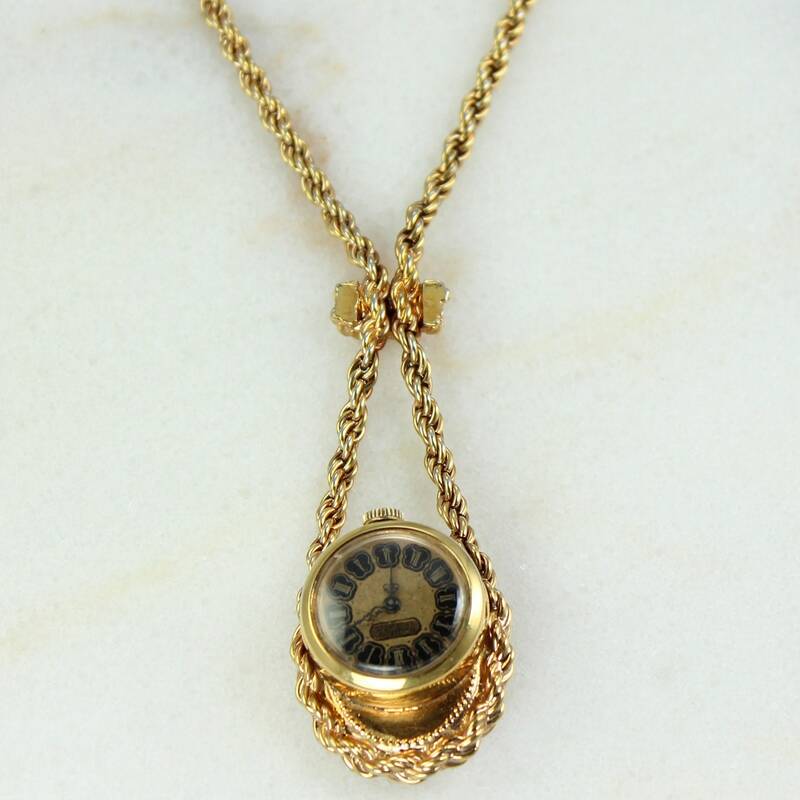 Vintage Edwardian Style Cameo Pendant Watch Necklace. This romantic necklace features a Waltham mechanical watch in black and gold watch with scrolled hands and roman numerals. 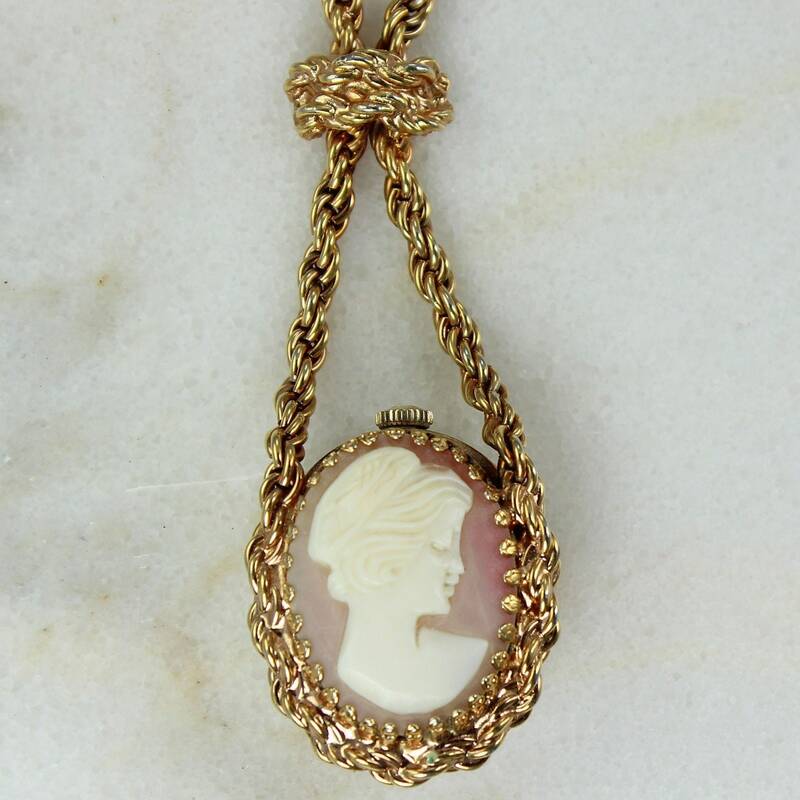 The reverse side of the pendant has a hand carved lady cameo of pink and white shell. 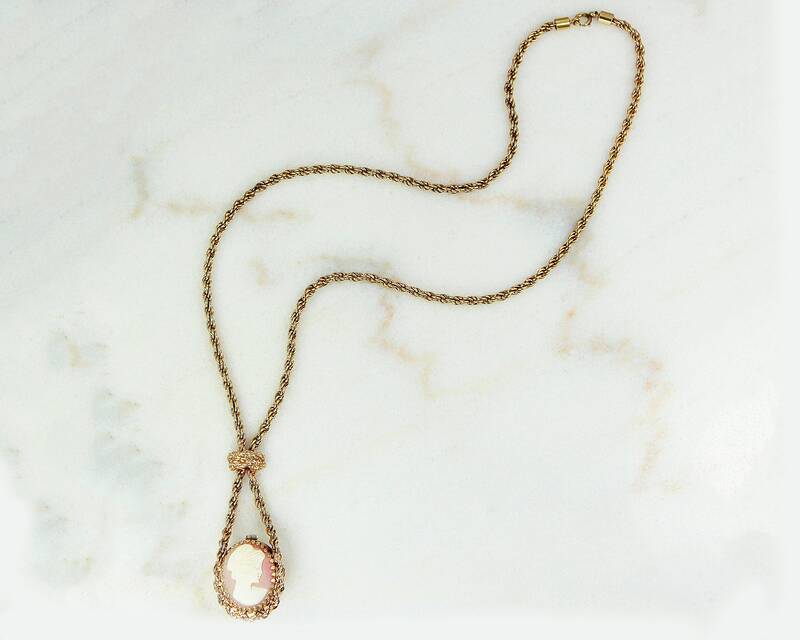 The watch and cameo are framed in a gold tone rope chain that is 22 inches long. Please note that while the watch was still functioning when last we checked, we cannot guarantee its continued working condition in the future. CONDITION: Very good vintage condition, with minimal signs of wear. Please note that while the watch was still functioning when last we checked, we cannot guarantee its continued working condition in the future. MEASUREMENTS: Necklace is 22" long. Pendant drop measures 2.63" long by 1" wide.